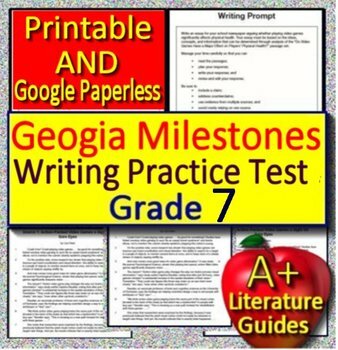 Google Ready - Grade 7 Georgia Milestones Writing Test Prep - Improve GMAS Writing Scores with this practice set designed to help 7th grade students excel. Includes two original passages on the same topic, with two writing prompts. 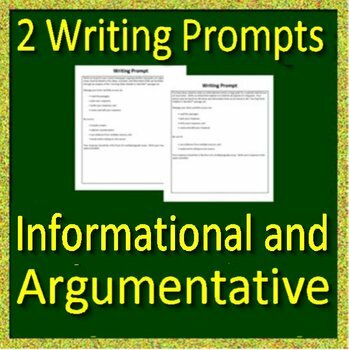 The writing prompts are informational and argumentative. It also has a writer's checklist, as well as planning sheets with blank lined writing pages. 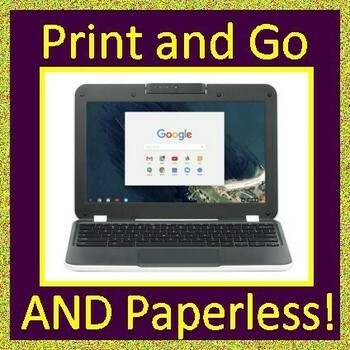 In addition, it has Google Doc links for those teachers who want to use these as paperless activities in Google Classroom. Both versions are included with your purchase! Buyer's Note: There are two passages in this product, not four. The two writing prompts come from the same two passages. Why am I qualified to write these passages, writing prompts, and Common-Core aligned questions? Not only have I worked as a Language Arts Teacher for 30 years with a Highly Qualified Status, but I also have spent the last 15 years writing state and national assessments, such as the SATs, ACTs, and individual state assessments that align with the Common-Core standards. This includes grading, item writing, and passage writing for these assessments.